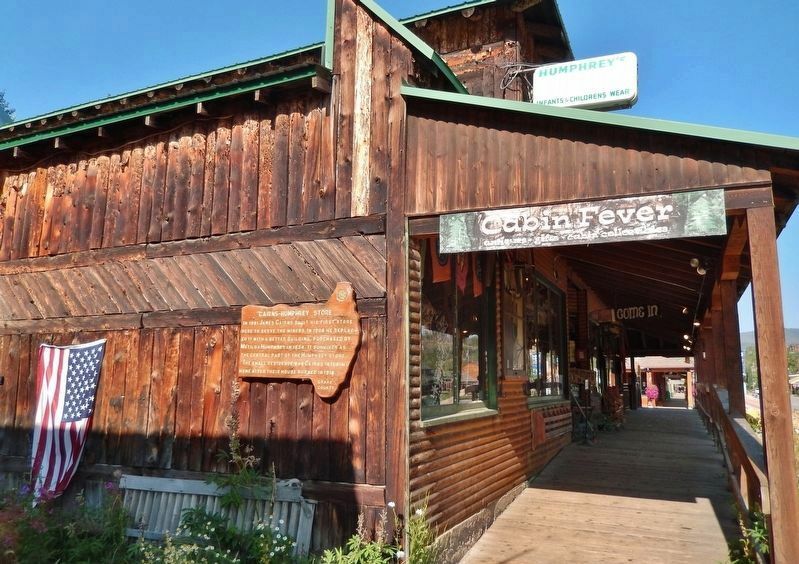 In 1881 James Cairns built his first store here to serve the miners. In 1908 he replaced it with a better building, purchased by Matilda Humphrey in 1924. It survives as the central part of the Humphrey store. The small residence was Cairns interim home after their house burned in 1916. Erected by Grand County Historical Society. Location. 40° 15.066′ N, 105° 49.064′ W. Marker is in Grand Lake, Colorado, in Grand County. Marker is on Grand Avenue east of Pitkin Street, on the right when traveling east. Touch for map. Marker is mounted at eye-level, directly on the subject building, near the northeast corner, beside the boardwalk, facing east. 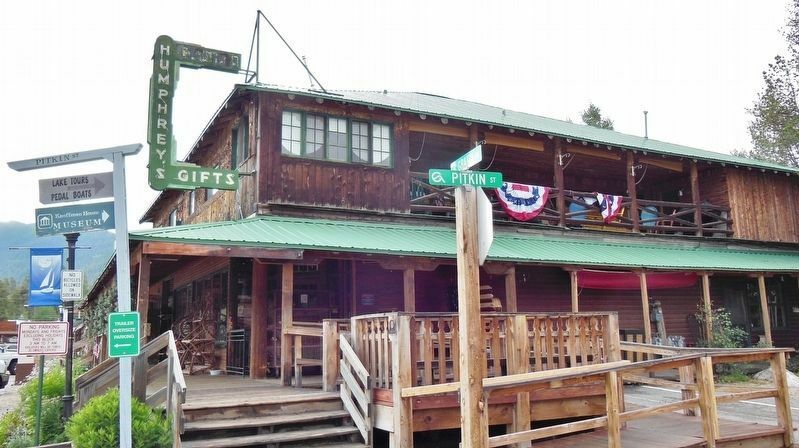 Marker is at or near this postal address: 1100 Grand Avenue, Grand Lake CO 80447, United States of America. Touch for directions. 600 feet away); a different marker also named Grand Lake (about 600 feet away); Smith Eslick Cottage Camp (approx. 0.3 miles away); Automobiles Come to Grand Lake (approx. 0.3 miles away); The Smith-Eslick Family (approx. 0.3 miles away). Touch for a list and map of all markers in Grand Lake. More about this marker. Marker is a large, painted wooden plaque, shaped like the outline of Grand County, which is approximately rectangular but wider on the right/east side. Regarding Cairns-Humphrey Store. 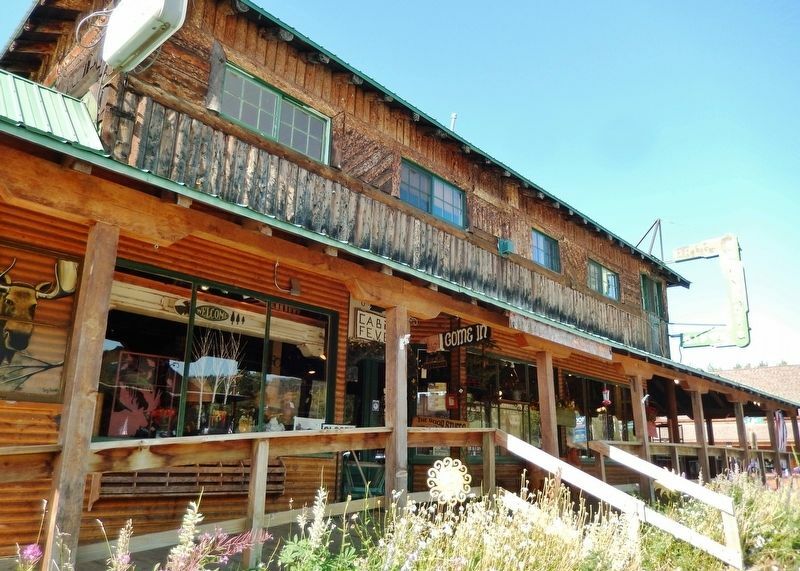 Building is currently occupied by a retail gift, antique and furniture store. More. 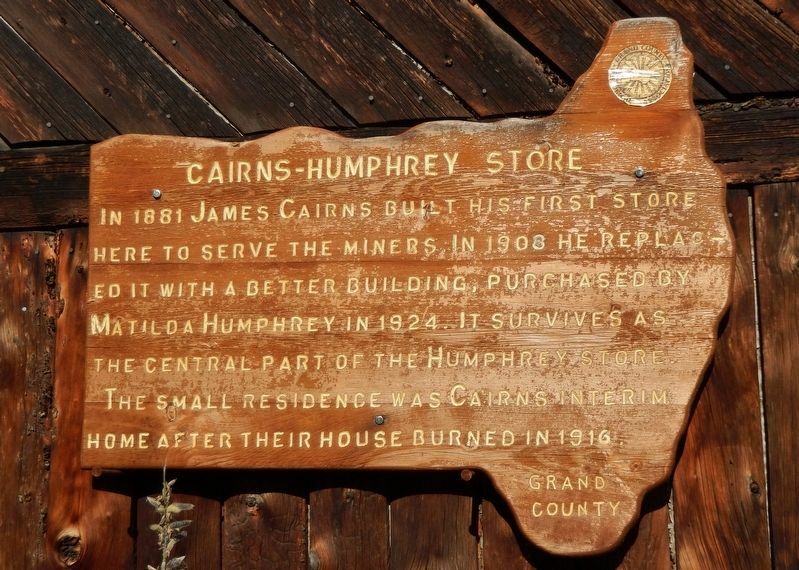 Search the internet for Cairns-Humphrey Store. Credits. This page was last revised on February 13, 2019. This page originally submitted on February 11, 2019, by Cosmos Mariner of Cape Canaveral, Florida. This page has been viewed 48 times since then. Photos: 1, 2, 3, 4. submitted on February 11, 2019, by Cosmos Mariner of Cape Canaveral, Florida. • J. J. Prats was the editor who published this page.